There is an office of Maha Chohan in the Spiritual Hierarchy as well as an Individual Being. - Lord Maha means Great Lord. He is Lord over the Chohans. Maha Chohan is a third ray activity. It has been the office through which the Godhead worked on the rays from the third to the seventh. However, this action changed recently (a few years ago), and the first and second rays now also come under the Maha Chohan. A Being must have developed and embodied all the divine virtues and have mastered all of the seven rays before He qualified to be a Maha Chohan. A Maha Chohan represents the Holy Spirit (which consists of all the divine qualities of the Godhead) to a planet. The Holy Spirit represents action and light and vitalizes whatever ray is in action. The Maha Chohan is the director of the activity of the Holy Spirit for the Earth which assists the development of the divine feelings in mankind. Holy Ghost really means Holy Spirit (the word ghost refers to a shadowy, ephemeral thing). The Holy Spirit is the consciousness of the Lord Maha Chohan, His pow-ers, qualities and activities, His Cosmic Flame. It was He that enfolded Jesus in His Cosmic Flame at the time of the baptism by John the Baptist, endow-ing Jesus with His powers. It was His action when the Holy Spirit descended upon the Disciples ten days after Jesus’ Ascension; that was the radiation from the Lord Maha Chohan. He enfolded them in His Cosmic Flame which gave to them the assurance, courage, strength and power to carry on the teaching and works of Jesus. “The Comforter” referred to is the Lord Maha Chohan. 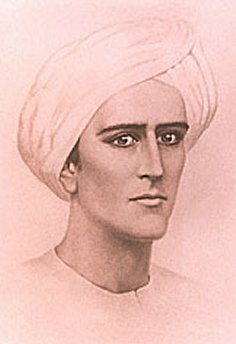 The first Maha Chohan Who came with the first root race in the beginning established the Flame of the Holy Spirit and the Comfort Flame here on Earth. The three Maha Chohans of the first root races have each gone on with Their race. Feminine Beings have held this position. The Maha Chohan is at the head of the Elemental kingdom; and is the authority over manifestations in nature. He draws and supplies the energy used in all nature and by mankind. He is the magnet to draw that power from the Sun. He directs the various forms of culture and civilizations through the minds of embodied individuals so as to unfold and develop according to the divine plan. The Maha Chohan is the One Who gives the first breath to every new born child; He also takes the last breath of every individual as he passes on. The Lord Maha Chohan has not had personal contact with chelas (students) through the ages, as He does now. It is said that the great Ascended Being Who is now the Lord Maha Chohan was embodied as Homer, the blind poet. Homer learned to harmonize his herd of goats with the Comfort Flame. In his next embodiment he began to use the Comfort Flame when only thirteen years of age, he was assigned to harmonize seven thousand people through the use of the Comfort Flame; he sus-tained that for some forty years. Soon after that He made the Ascension. His particular virtue is Comfort which He gives to mankind and all life on Earth. His symbol is the white dove. The Dove represents the Maha Chohan Who is the representative of the Holy Spirit. His banner is purple; upon it is the emblem of the white dove from which eminate seven rays. Ivy which is a symbol of ever-lasting life, seems to be a favorite of His and much used by Him. He usually wears a white robe and white turban with a topaz on the forehead of the turban. The topaz is very frequently used by Him. He has golden hair and His eyes are amber color. He uses the fragrance of cinnamon. His keynote is “Homing”. Now you have the chance to be initiated into the Maha Chohan Energies. They will envoke in you the energy vibration of Maha Chohan. The Energy vibration of Master Lord Maha Chohan is: Holy Spirit, Christ Love, Alignment to the Love of GOD. You will receive 2 attunements, a Maha Chohan Chakra Oil and a manual. The first is the basic ALL Ascended Master Attunement. The second is the specific Maha Chohan attunement.